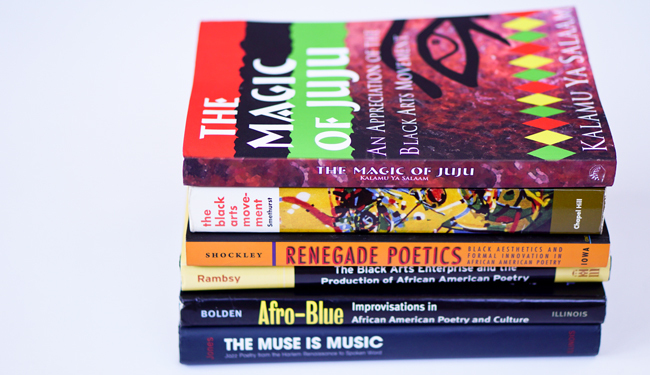 Kalamu ya Salaam's The Magic of Juju: An Appreciation of the Black Arts Movement (2016) anticipated and now bookends an exciting moment in the scholarly discourse on the Black Arts Movement. Salaam's manuscript circulated underground, so to speak, among scholars years before many of us produced book-length studies on the era. Now Salaam's book arrives confirming his identity as one of our most critical cultural witnesses of African American literary art of the 1960s and 1970s. 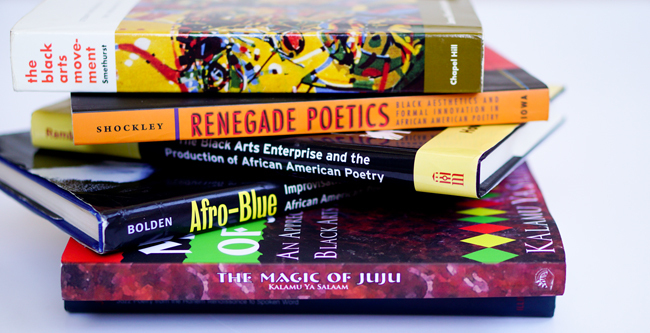 On the one hand, Salaam's book complements the scholarly work of Eugene B. Redmond in his tremendous study Drumvoices: The Mission of Afro-American Poetry (1976). Like Redmond, Salaam traces a wide range of literary figures and explains how they contributed to a national artistic movement. Given the benefit of time and hindsight, Salaam also discusses the activities of those artists well into the 1990s, and he highlights how a range of cultural institutions such as magazines and presses, and art forms, including dance and music, also contributed to the production of Black Arts. In addition to drawing on and extending past studies, Salaam's work is very much in conversation with a large number of contemporary scholarship on Black Arts and African American literary studies. His book's focus on on the national reach of the movement corresponds with James Smethurst's The Black Arts Movement. Salaam's attentiveness to critics and theories of the era parallel aspects of Tony Bolden's Afro-Blue: Improvisations in African American Poetry and Culture. Further, Salaam's examination of music and its links to black poetry bring to mind ideas raised by Meta DuEwa Jones in The Muse is Music.